New Bike Maps Are Out. Like the tulips popping up, the line at the Brooklyn Botanical Garden cherry blossoms thingy and the increase of bicycle snatching…Spring has Sprung in NYC. And with all that good stuff, comes a really excellent resource that isn’t electronic…A map…made out of paper. Charlie McCorkell was going to Washington to fight for cyclists safety long before there was a National Bike Summit. He was painting his own bike lanes and taking matters into his own hands. Spills and Kills, but no Vision Zero. A round up January events on street safety and traffic violence. I was taking a bit of a hibernation here in 2014, dodging the “Artic Vortex(s)” and bad road conditions. This had nothing to do with my recent crash. On Monday (1/20/14) I went out for drinks to congratulate my pal Jonathan Beck who you may remember from his bad bike crash in 2010. He has long since been rebuilt with bionics and has replicated a new cycling maniac of the future–a baby girl. Congratulations to him and wife Britt Reichborn-Kjennerud on daughter, 8.5lb Bucklin Solvei Beck, entering planet Earth, 1/4/14. They’ve got Norwegian roots which explains the names and they’ll be using the middle one (Solvei). Speaking of Bucklin…A front basket that I personally improperly installed on one of my bikes dug into my front wheel on the ride home from drinking with Beck. This caused me to do a endo over the front handlebars in a NY minute and land right on my big nose. Luckily the helmet I insist on wearing helped my injuries to be mostly contained to my face. A very nice Park Slope resident, witnessed my face plant and was very helpful in convincing me not to walk to the nearest hospital (Methodist) but rather to take the ambulance he had phoned in. This was a much better decision then trying to walk 10 blocks with a scarf trying to stop the bleeding. The doctors in the ER were helpful, but it did take 6 hours to get a CAT-scan, Motrin and two stitches…but expect NYC ER’s to be overloaded because of all the hospital closings. So I haven’t updated the blog in a while in my face healing time, it seems like I should put something up on here, seeing as 2014 is my 10th year of writing this thing. The bike community here in NYC is eagerly waiting to see what will happen with the new progressive Mayor Bill DeBlasio and his recently appointed administration, primarily the police commissioner William Bratton and new Department of Transportation commish, Polly Trottenberg. We’re definitely off to a rough start with 18 pedestrian and cyclist fatalities since Mayor DeBlasio was sworn in at the start of 2014. Here is a brief timeline of some of what’s been going on. Our bike friendly former D.O.T. 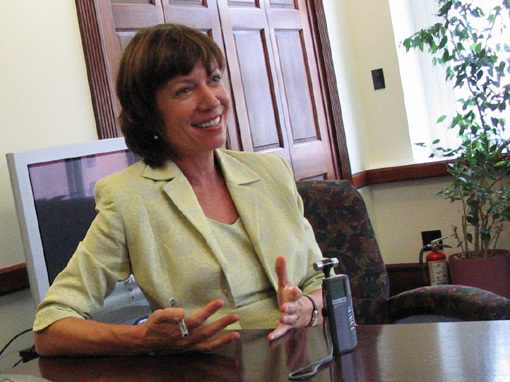 commissioner, Janette Sadik-Khan is out and jumping on board with outgoing Mayor of the rich side of the two cities, Michael Bloomberg’s team. He’s launching a consulting firm called Bloomberg Associates which will tell other cities how to have the largest wealth desperately and not to drink too much soda. Hopelly Janette will get them to ride more bicycles and cars not to see them as road obstacles. More about the future of Bloomberg Associates from the NY Times. 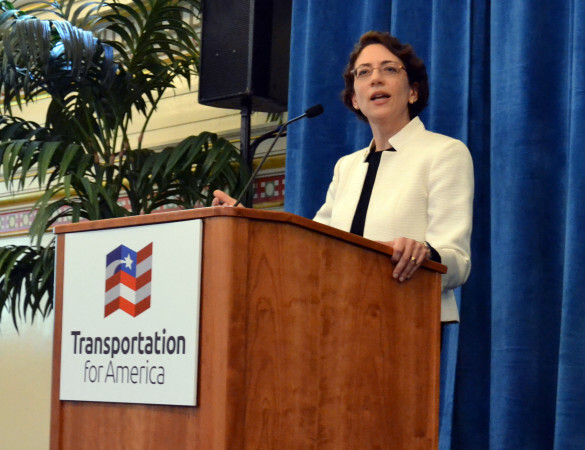 A federal transportation policy maker with credentials include working with New York Senator Daniel Patrick Moynihan on the 1998 federal transportation bill and for Senator Chuck Schumer. Mayor DeBlasio is sworn in and transportation commissioner, Polly Trottenberg meets with parents who were on hand to keep the mayor on task about his promise of working towards Vision Zero. They are also victims of recent traffic violence and lost loved ones to reckless drivers. Vision Zero, is a goal adopted by NYC and brought forward by the new mayor to work towards having zero traffic fatalities of pedestrians and cyclists. Although that number may be impossible to obtain, the idea is to treat every traffic violent death as equally significant and even one death is too many. It is also a goal of a city, to work towards making efforts to make these fatalities avoidable through infrastructure, awareness and cracking down on motor vehicle violations. This seems especially important when for the last three years, around this time, the NYPD has chosen to crack down on bad cycling behavior and making no efforts to curb speeding cars and other moving violations that end up killing people, unlike bikes not stopping for lights in Central Park. Trottenberg Meets Parents of Traffic Violence Victims at Inauguration. by Stephen Miller. Mayor DeBlasio introduces the new police commissioner William Bratton at a press conference. Bratton a former NYC police commissioner in NYC (1994-96) has been in Los Angeles, vehemently cracking down on jaw walkers of those few citizens that actually aren’t driving in a car. Continue reading Spills and Kills, but no Vision Zero. A round up January events on street safety and traffic violence.